“Micropub: a low key informal set-up with no TV, no gaming machines, no hot food and no late licence." Do you remember what a pub used to be about? A couple of quiet drinks after work or on a weekend, maybe with friends, or maybe on your own as the chances are you’ll get chatting to another local doing the same? Yeah we missed that too. That's why we decided to open our Micropub. We are David and Nicola Holland and we’ve called Southbourne-on-Sea our home for more than 20 years. 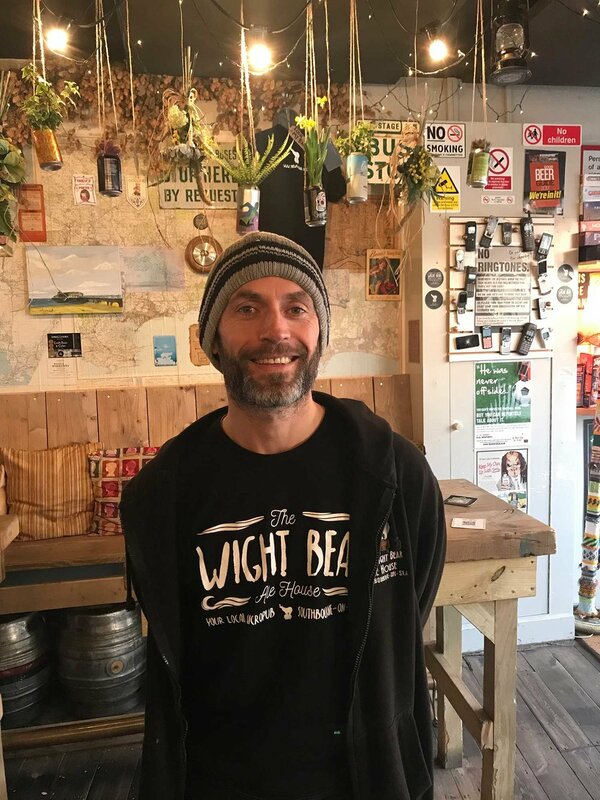 We're passionate about our local communities and decided to open The Wight Bear due to our love of real ale, and the need for venue that wasn’t full of fruit machines, loud music, and TVs but instead focused on the important things in life – Good ale, good conversation and good times. We've got a great team of Beer Handlers who you will see when you visit us - Ask them any questions you have about the beers as these guys know their stuff and are as passionate about the Bear as we are. After 18 months of The Wight Bear, we launched The Wild Bear. 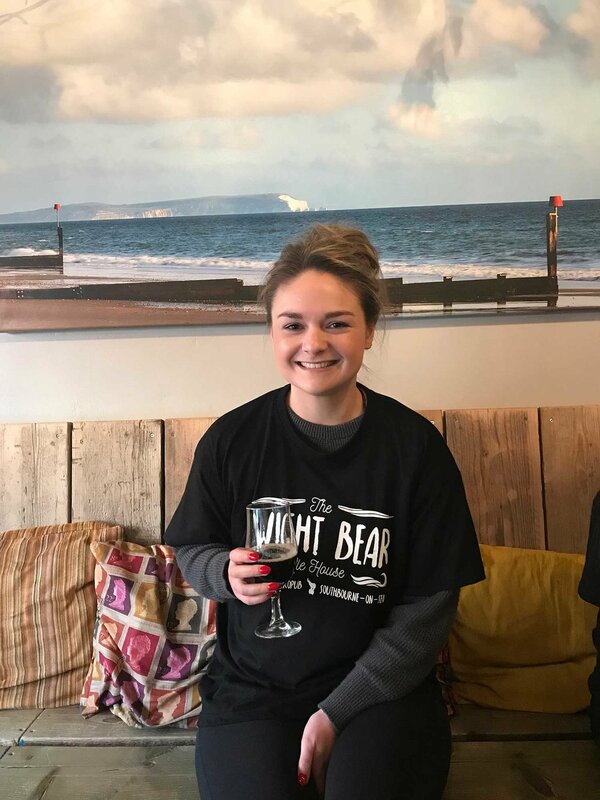 This bear is part of our Bear Family and means we can bring the experience of The Wight Bear to whatever event needs us. Whether it's a music festival, street carnival, or a birthday in someone's garden. ‘Family’ is important to us both, and we feel that our Bear also has its own family as people who have never met before bond over a beer and so the Bear Family grows. We are sorry but our licence does not permit ANYONE under the age of 18 on our premises, at any time. (We will also ask for proof of age from anyone fortunate enough to look young so please take it as a compliment if we ask you). We are on the other hand, allowed dogs of any age inside our Bear BUT they must be quiet and well behaved (which will be rewarded with a dog biscuit). We also ask that you please keep the lead on when inside a Bear. 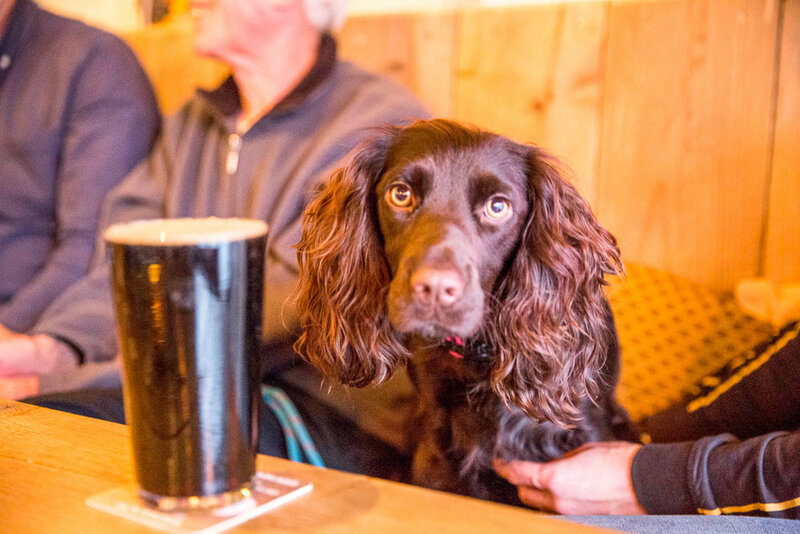 Please let us know if you would like a bowl of water for your furry friend and also, please be aware that if the pub is particularly busy or of they are noisy then we may ask for them to wait for you outside.